Open Banking remains an incredibly hot topic heading into 2019. Like our CEO Karim Somji wrote in his article for The Globe and Mail, “Open banking is about to change the financial sector.” While we’ve written about it before, we’ve never gotten into examples of exactly how it has the ability to impact customers, and what this might mean for banks. That’s why in this episode of “Interview With an Expert” we spoke to Vishal Ramesh, Solutions Consultant at Zafin about Open Banking, and what the finer points of its implementation might mean for banks and their consumers. Cam: Open Banking has aspects that are good for both banks and their customers. But who does it really serve? Vishal: Open banking in simple terms is that banks have this information about consumers: their transaction information or their own product, services and pricing information, and they will expose their information to third party systems and companies who can take their information and build new revenue streams and new business models. The data that the bank has of the consumers, does not belong to the bank but it belongs to the consumers. As a consumer I must be able to use this data to access other products and services that are of value to me and can enrich my life. Some people are hesitant about banks sharing their private data. Is this a valid concern? 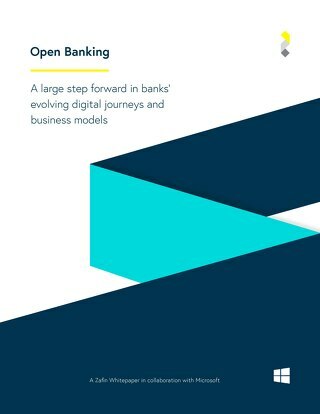 When consumers think about open banking they think it’s about banks sharing their data to big corporations who are going to use this data to sell their information. However open Banking is completely different. It’s about providing consumers the access to their own data so that they can access their own data in a secure way and decide what to do with it. Are banks taking the rise of Open Banking seriously, and if so, what is driving their interest, and how can they make it appeal to their customers? One of the trends that most experts see after Open Banking takes off in a big way, is that banks will probably need to innovate heavily on the product and services layer to create those customer-centric experiences. Open Banking has the potential to completely revolutionize the banking industry. It can make banking truly digital by establishing an interconnectedness that we see in the ecommerce industry. Imagine you have an app at home that can monitor your transactional behaviours, it can suggest what product is the best for you, and that product could be from a totally different bank, or a smaller bank, even a credit union. The post Interview With an Expert: Vishal Ramesh Shows us How Open Banking is Good For Customers appeared first on Zafin. The options now available for implementing digital banking strategies offer greater capabilities and cost-efficiencies than ever before. 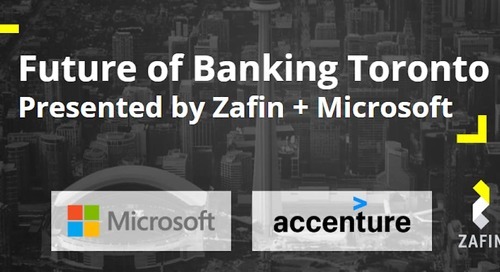 The post Open Banking Toronto appeared first on Zafin.